You might want to hit the streets later and hunt and gather a good meal, and we have a few fun suggestions to take you into the weekend as we present our Friday’s Five Fabulous Food Finds for this week. Want to know one of the best kept secrets when it comes to eating really good oysters in Dallas? 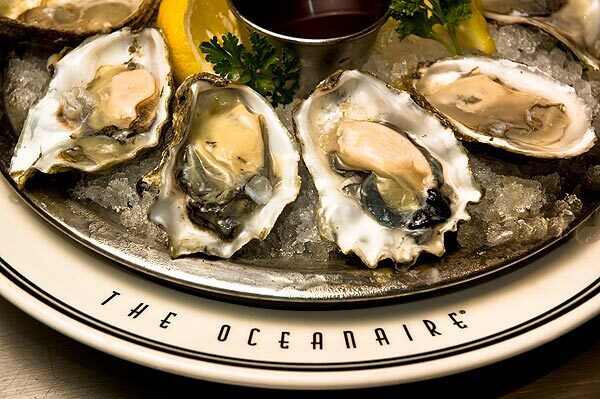 Oceanaire has all varieties for a dollar each on Sunday. Every Sunday, every variety. ‘Nuff said. Anytime is a fine time to enjoy Kalachandji’s for a refreshing change of pace. the Krishna community enjoys a fine menu of vegetarian and vegan selections that are sure to lower your core body temperature to a manageable level. These kofta balls are really code word for amazeballs. And we cannot get enough of the poppadum. Shabu Shabu is a cooking method that is much like the Chinese hotpot. 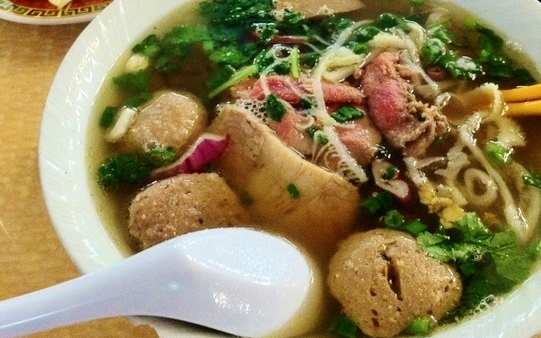 You place raw meat and vegetables in a cooking broth for a sumptuous meal that is healthy as it is fast. At Mr. Shabu Shabu in Plano on Coit Rd. you can make your own tableside and at a bargain price that will leave you satisfied. Cash only alert! 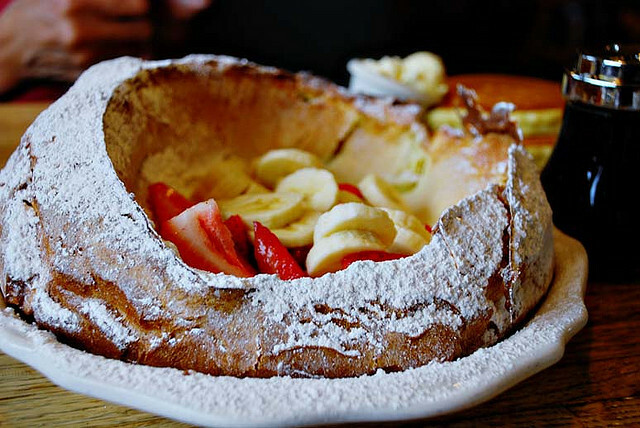 The Dutch baby is this beautiful sweet popover masquerading as a pancake. You can find the baby at the Original Pancake House across the DFW area. Enjoy this breakfast-anytime delight for its light and airy bites that will satisfy and cool. 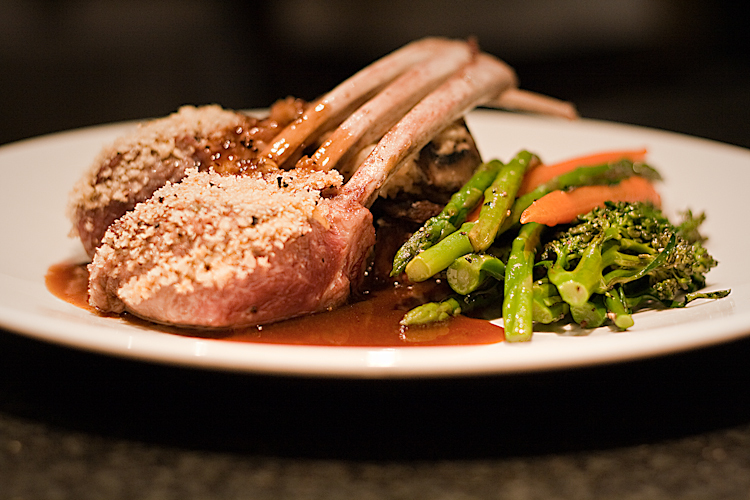 This beautifully plated lamb dish is none other than Abraham Salum’s panko crusted lamb chop served with a side of his savory mushroom bread pudding. 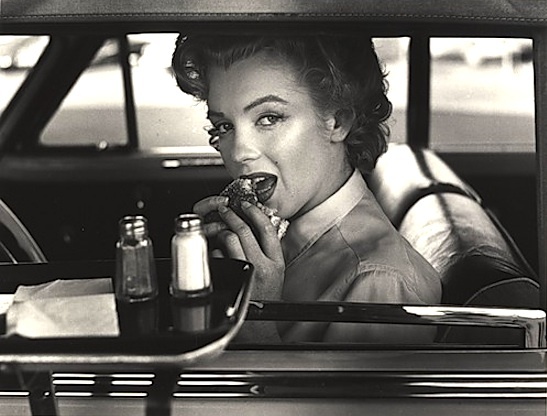 It is frightfully delicious and available always on his menu . The dish is just light enough to stave off any unnecessary heat. I think the Oceanaire deal is at bar only. Anyone?